Meet Braylee, Tommy, and Austin, puppies-in-training for the Guide Dogs of America program. 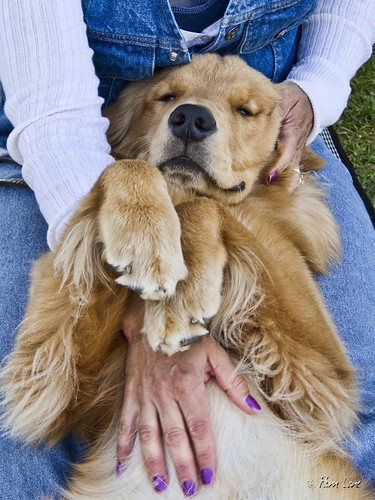 They were happy participants in Saturday's Dog Party at the Park at Rio San Gabriel Park. Braylee is a 14-month-old female yellow Labrador Retriever. Tommy, at 7 months, is a male black Labrador-Golden Retriever mix. 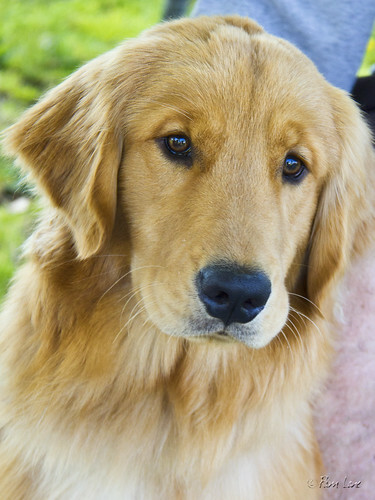 And Austin is a 9-month-old Golden Retriever. These dogs live with foster parents, or puppy raisers, for the first year or so of their lives. 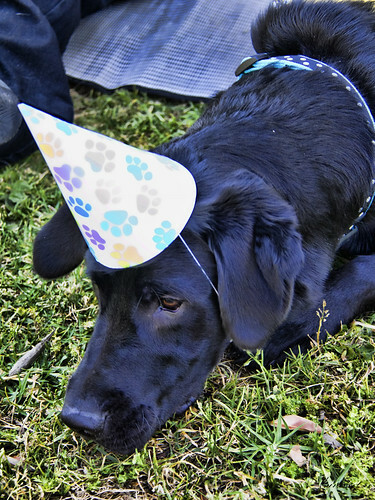 A puppy raiser is responsible for socializing the dog and exposing it to as many different types of situations as possible. These three are well on their way to being well-behaved animals who take all the commotion and attention in stride. 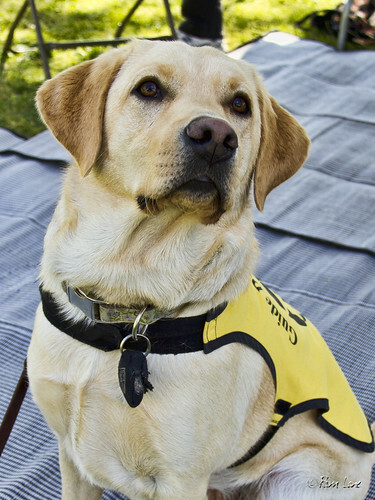 At about 18 months old, the dogs return to Guide Dogs of America for formal training before being presented to their permanent owners. One could argue that it's a pretty laid-back, contented life for the dogs. This was a busy weekend for Downey events. Still to come—the Greek Festival, volunteer opportunities at the Cat Adoption Center at SEAACA, and more about the Dog Party in the Park. If we ever find ourselves in the states in the future I'd love to participate in this program. I have a daughter who loves dogs more than anything, but our family really can't make a lifetime commitment to a pet. I love the idea of "graduating" the dog into a helper training program.